Azure Pipelines tasks for packaging and publishing Azure Devops and Visual Studio (coming soon) extensions to the Visual Studio Marketplace. 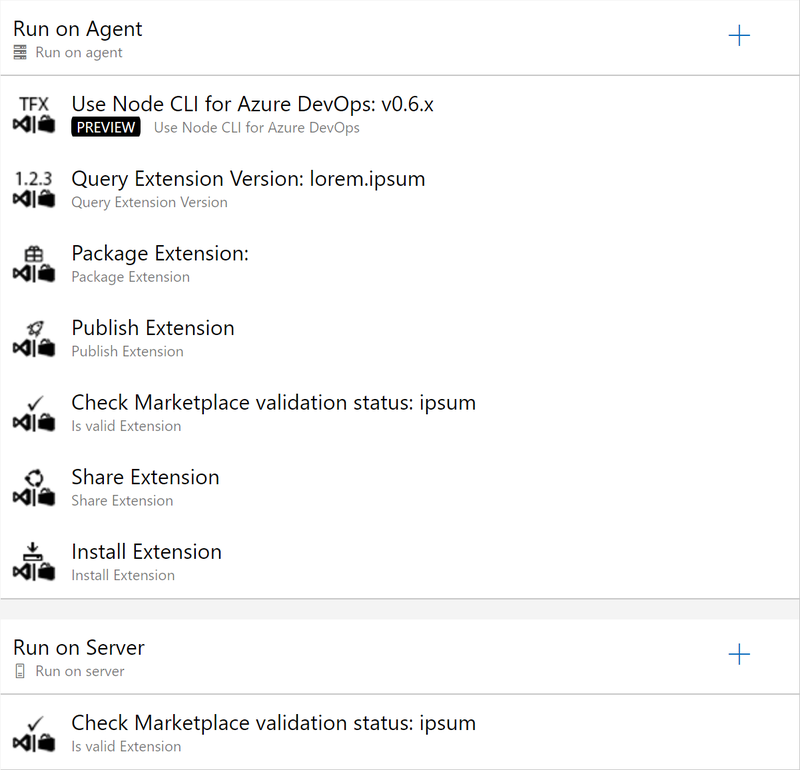 This extension provides build and release tasks for packaging and publishing Azure Devops Extensions to the Visual Studio Marketplace. There are also tasks to share and install your extension to your Azure Devops organisation or Team Foundation Server. 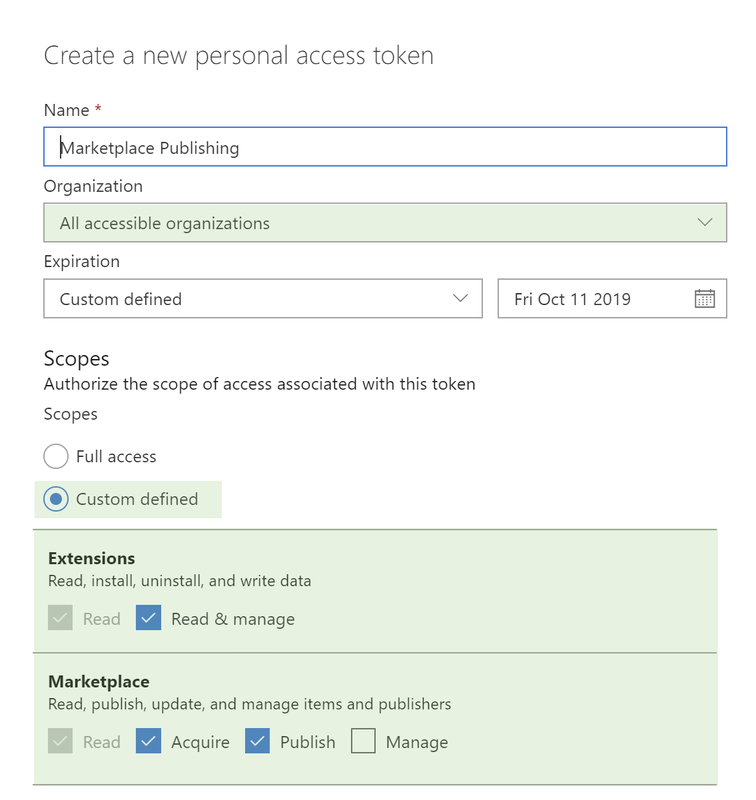 If you plan to publish to the Marketplace, you will need to create a personal access token. Wait for validation: waits for the Marketplace validation to come through. The source for this extension is on GitHub. Take, fork, and extend. This extension was created by Microsoft with help from the community. We'd like to thank Wouter de Kort, Utkarsh Shigihalli, Jesse Houwing for their contributions.